Katy-Anne is a regular performer and artist on the Liverpool arts scene. She trained at Hope street ltd where she developed a passion for puppetry and street theatre. At Manchester metropolitan university she got a taste for creating radical and anarchic performances in unusual spaces and went on to form the company Caustic widows. 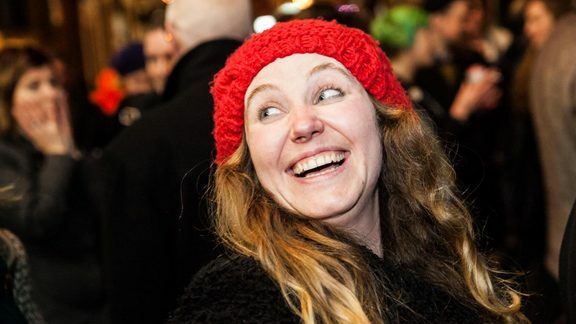 She has toured nationally and internationally as a street theatre artist, cabaret performer and actress with companies including Whalley Range All stars, Headstrung, And Now, Proper Job Theatre and the Lantern company. In February 2014 she met Daisy and performed the part of Luna in the acid trip scene. She is thrilled to be a part of the full version of Cosmic Trigger and excited about delving into the world of discordia!